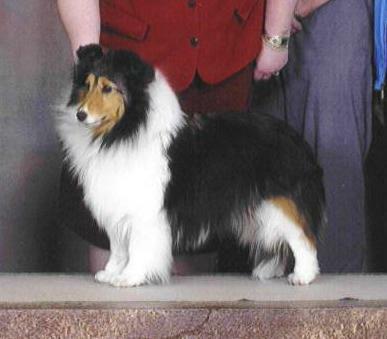 Skye is owned by Harry & Norrie Davison. She has earned 4 Altered points! 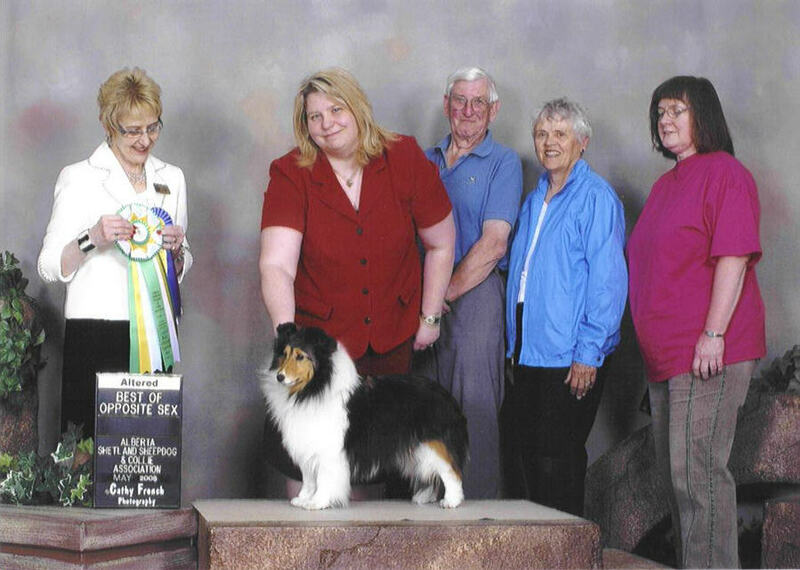 Skye won points at the ASCA and SSFC specialties. Thanks to Bev Klassen for handling her at these shows. Proud owners Harry & Norrie Davison (in blue) are sure smiling! Sincere condolences to Harry & Norrie on Skye's passing. She lived a good life with you for over 14 years. Thank you for the excellent home you provided for "our" girl.